A clogged drain can be a nuisance. Whether it’s your tub, your sink or even your garbage disposal, a clogged drain can get in the way of your day to day life. Simple over the counter fixes or DIY remedies may be able to break up some of the blockage and get your system flowing again; however, at the most, that is a temporary fix. Don’t let a clogged drain put additional pressure on your system. Instead, give us a call at On The Ball Plumbing to find out how our experts in clogged drain repair Twin Falls, ID can help you. The majority of clogged drains are simply an accumulation of grease or hair. While this may seem like a quick fix with a simple over the counter drainer cleaner, the blockage is an indicator that the system could use a cleaning. Over the counter solutions will break through the clog, but they generally allow the blocking material to stay in the system, which can then cause another block in the near future. With our expert Twin Falls plumbers and top of the line equipment, we will go beyond just unclogging your drain and perform a drain cleaning of the area to ensure the system is clear. Removing the material that is causing the block is the only way to make sure the clog is completely eliminated. While most clogged drains will only require a drain cleaning, there are also cases where drain repairs will be needed. While performing our video drain inspections, our plumbers are always on the lookout for any possible weak points. These weak points could be the cause of major system issues if left untreated. Drain repairs can save you thousands of dollars in the long run. 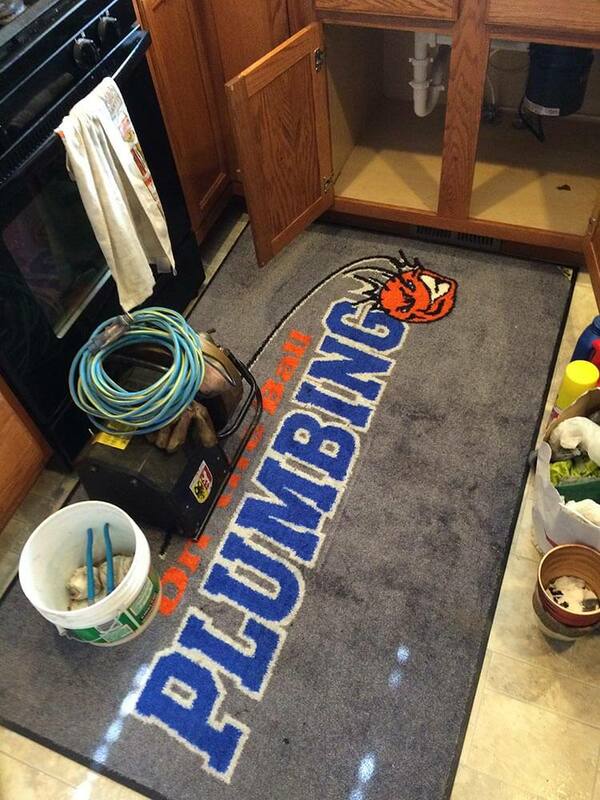 Our team of trustworthy Twin Falls plumbers at On The Ball Plumbing is always looking for any signs of weakness. When we spot a potential problem, we aim to fix it before it turns into a more serious issue. If you are experiencing constant clogged drains or problems with your plumbing, give us a call at On The Ball Plumbing. We will inspect, diagnose and offer solutions for all your drain problems. Call Us Today!